More Power! 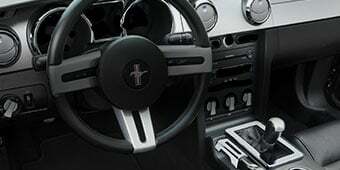 The stock GT Mustang came with a respectable 300 Horsepower and 320 lb/ft of Torque from the factory, but after installing a Vortech System you will be planting a healthy 420 Horsepower and 385 lb/ft of Torque to the pavement. That is 120 more horsepower over stock! Complete Kit. This Vortech Mustang Supercharger System comes with all the required parts needed to upgrade your Steed to a fire breathing Beast. 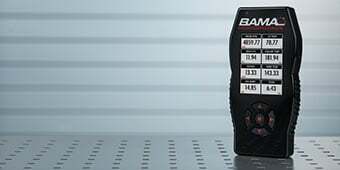 The kit features Fuel management upgrades including a high-flow fuel pump, high-capacity fuel injectors, and a DiabloSport Predator Tuner to re-flash the stock ECM. Application. This Satin Vortech Supercharger System is specifically designed for use on the 2005 to 2008 GT Mustangs. Technical Note. 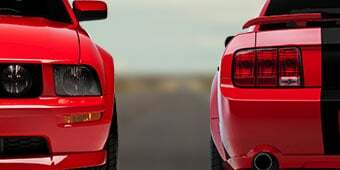 ECM reprogramming will be required when additional aftermarket parts are added including but not limited to MAF meters, cold air intakes, smaller supercharger pulley, headers and exhaust modifications. 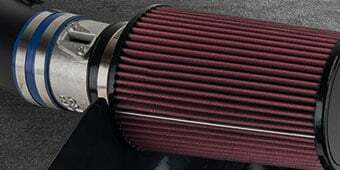 Please Note: Vortech Supercharger System are built to order by Vortech for our customers. Because of this there can be a 5 to 7 day lead time on orders. Is it absolutely needed that I run and intercooler with this? Is it absolutely needed that I run and intercooler with this, or is that something I can add down the road for more pony's? I intend on buying this kit very soon. Need help with the details! The reason intercooling is recommended is because an intercooled supercharger is more than twice as efficient as a non-intercooled system. So with half the PSI, you can lay down the same horsepower as a non-intercooled system. If you're going to spend the money, my advice would be to spring for an intercooler. Not absolutely needed, but for more power, more consistent runs and safer engine operation, I strongly suggest you get the intercooler at the same time. It will also save you the cost of another custom tune. Good Luck! Will this system work on an automatic trans car? Yes, the Vortech Supercharger System - Satin (05-08 GT) will work for an automatic. worth it at 57000 miles? im at 57000 miles and some people say my engine will blow up if i get this. so would it be worth it to buy this? Hi, This Vortech Supercharger System - Satin only puts out 9-10 PSI, on a well taken care of 57K engine that low amount will not blow it up. What intercooler do you recommend? If its not included which one do u recommend? Two types are available: air to air and water to air. In the air to air, the boosted air (after the supercharger) moves through a large air cooler (like a radiator) mounted under where the front license plate mounts. 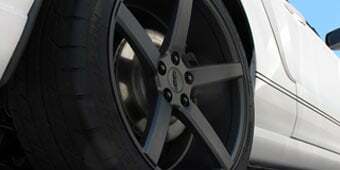 AM sells this type made by Mishimoto. You will need piping from the blower to the intercooler back to the intake. In the water to air type, again the boosted air is pushed through a core or box like plenum that has is radiator like so the hot boost air is pushed through this cooling core and then into the intake manifold. The sc coolant circulates much like a radiator with a water pump located inside the bumper cover and the radiator portion is mounted below where the front license plate mounts. The pump is electric and operates when the ignition is on. This is the type I have. 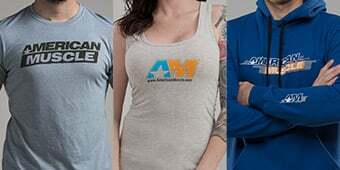 You would have to talk with AM to get one or order it from Vortech. You will need a custom tune for either. Superchargers are the best way to max out your s197. 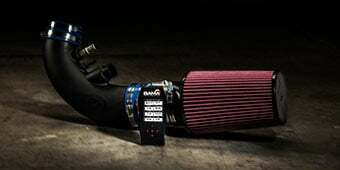 You can easily get 450-480 rwhp with an intercooler. Good Luck! American Muscle offers Mishimoto intercoolers and Vortech has there own line of performance intercoolers designed to go with their kits. I have made some some modifications to my 2007 GT, long tube headers, cat-less X-pipe, Shelby GT500 throttle body, Roush CAI, SCT for life tunes. 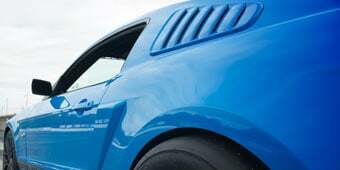 I get that the CAI will have to go, but will the SCT tuner be able to make tunes for a supercharger and will I have to get rid of the GT500 throttle body? The tune that comes with this kit is a canned tune. It may not necessarily accommodate all the modifications that you have made. It is advised to get a dyno tune to ensure that everything is working properly and you are getting max performance. Depending on the tune, you may need to go back to the stock throttle body. There will be a whine like you hear from the whipple supercharger when you purchase and install this system into your vehicle. The Vortech Supercharger System does not require internal upgrades for low-boost applications, however, to adequately operate under high-boost applications, pistons, rods, and bearings would be required at minimum. You will not need to upgrade you internals with the Vortech Supercharger System - Satin (05-08 GT). However when you start upgrading the kit and running higher boost you will want to upgrade your internals. The Vortech Supercharger System - Satin (05-08 GT) makes 420 to the flywheel. 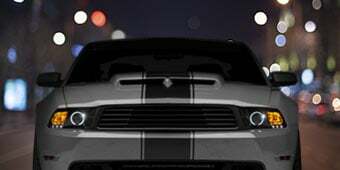 Hi, This Vortech Supercharger System - Satin is self-lubricating, It has its own oil supply that has to be changed no need to tap into your mustangs oil pan. The Vortech Supercharger System would require at least a 1-step colder spark plug to run properly. In this instance, "need" & "should" compete vigorously but...!!! Vortech clearly does not think you "need" one or the kit would only be availble with one...that's putting it in plain English! Simply put, that much movement, wether it be air or anything else creates friction = heat...PERIOD! More HOT air into the manifold does NOT make power like that much COOLED air; hence the intercooler. Meth Injection really shows it's stuff in the non-intercooled arena but-if you think you can afford the blower but you're hesitating on poping for the additional $$$ of the inter-cooler...IMO wait for the additional $$$ for the intercooler! When installing the Vortech Supercharger System, vehicle mileage can be used as an indicator, however the engine should be checked to ensure everything is in good order, with good compression and minimal blowby prior to installation. The Vortech Supercharger System - Satin (05-08 GT) will for with the Ford Racing intake manifold. 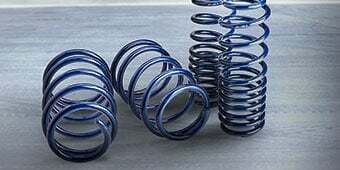 Your stock transmission will be able to handle the Vortech Supercharger System - Satin (05-08 GT), it will just be a matter of the condition of your transmission if there is any worry about the transmission at all. All I can say I'd when I first hit the pedal I almost cried lol!!! I went with the non-inter cooler cus of the power. I don't need a 500hp monster. My car is faster than anything I meet on the street. Nice steady big block power. The instructions were vague on some steps but common sence prevailed. The tune is great but I do have a stumble/flat spot when taking off slow. It bucks bad like someone learning to drive a stick. I will figure it out. 2006 GT all stock, but not any more. Love it.